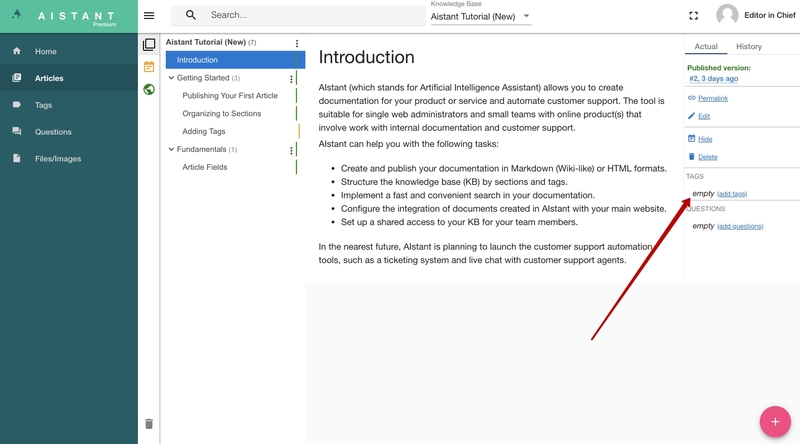 Aistant provides rich possibilities for managing your knowledge bases. 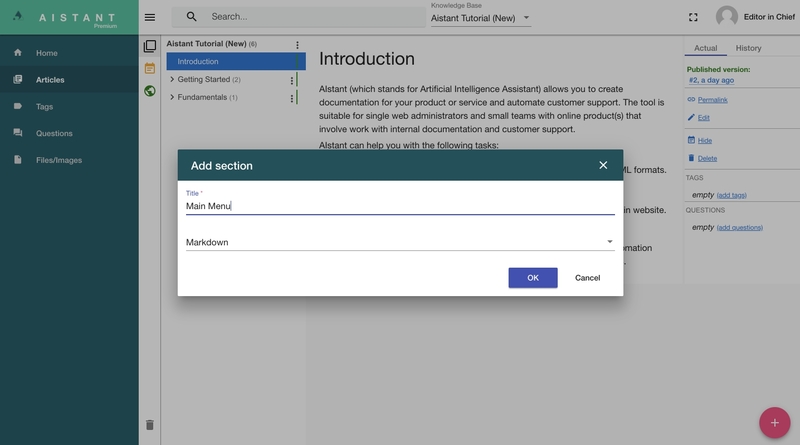 You can organize articles into sections for better navigation, add tags to group articles by sematic, and assign questions for better user experience during the search. 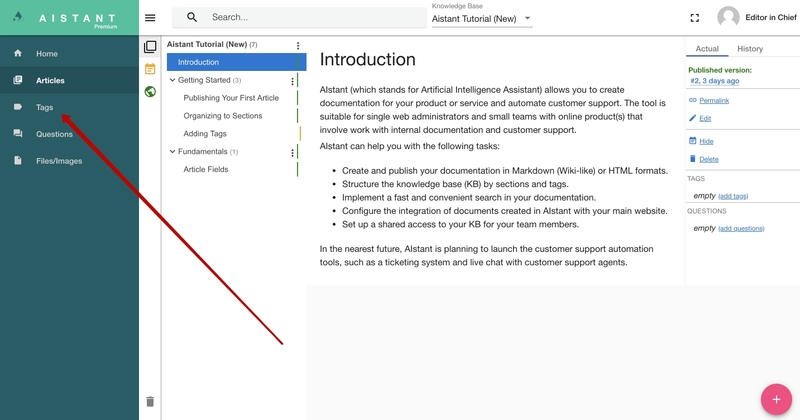 On Articles page you can add a new section to the knowledge base's root or to another section by clicking on icon near the name of KB or section correspondingle. In the popup that opens, enter the title of your new section. This name will be automatically assigned to the section’s URL, but you can change the URL later. To edit or delete the section, click on the section's name and find Edit or Delete links on the right panel of current page. To add articles to this section, use the same icon near the section name and respectively select Add Article. You can also move the articles between the sections and change their order using the drag-and-drop. With tags the readers of your documentation will be able to navigate between the different documents which covers a particular topic or some common property (e.g. all articles which contains a code snippet). To add tags to the article you just need to select it on the Articles page and click on Add tags or Edit tags link on the right panel. Use "Tags" page to see the list of all tags which are used currently in your current knowledge base's articles.